Режиссеры: Ivan Dixon, William Ward, Leo Penn, Stuart Margolin, John Patterson, Rod Holcomb, Jeff Bleckner, Thomas Carter, Fernando Lamas, Michael O’Herlihy. 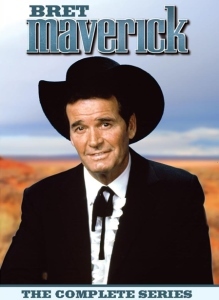 В ролях: James Garner, Ed Bruce, Ramon Bieri, Richard Hamilton, John Shearin, David Knell, Darleen Carr, Jack Garner, Luis Delgado, Tommy Bush, Stuart Margolin, Priscilla Morrill, Marj Dusay, Ed Bakey, Ruth Estler, Norman Merrill Jr., Janis Paige, Robert Webber, Bill McKinney, James Staley, Simone Griffeth, John McLiam, Billy Kerr, Tony Burton, Richard Libertini, Duane R. Campbell, Jameson Parker, Bill Cross, Kathleen Doyle, Richard Moll и др. This entry was posted on Суббота, Ноябрь 5th, 2016 at 1:42 пп	and is filed under Б, Вестерн. You can follow any responses to this entry through the RSS 2.0 feed. Responses are currently closed, but you can trackback from your own site.